Manny Pacquiao may be getting older, but he’s still a big name and promises a considerable payday for anyone he faces. Mayweather Promotions CEO Leonard Ellerbe says that Manny Pacquiao has proven that he’s still an elite fighter in the welterweight division, meaning that he’ll have plenty of options on the table for his next fight. Ellerbe has doused some cold water on the speculation that Pacquiao is being lined up to face Floyd Mayweather in a rematch, but we all know that whenever there’s big money on the table Floyd will certainly have a listen. 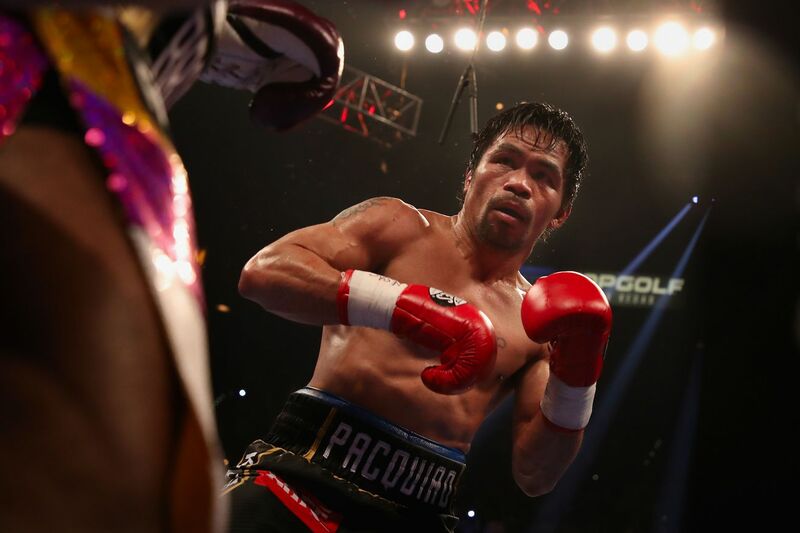 But what is clear is that Pacquiao is coming off a rather dominant performance over Adrien Broner this past weekend, and there’s some notable fights outside of Mayweather that could be made now that Pacquiao has aligned himself with Premier Boxing Champions. “There is Keith Thurman, Danny Garcia, Errol Spence, even Mikey Garcia who is fighting Errol in a welterweight clash in March, and Shawn Porter. Who would you most want to see Pacquiao face next?